You just need to setup some iptables rules and turn on the ip_forward feature in the Linux kernel, assign some IPs and Routes and voila, your PC will become a router. For example, suppose you have a laptop connected to Internet through a wifi card (let’s call it eth1) and you want to connect a PC to Internet through it, using an ethernet cable. 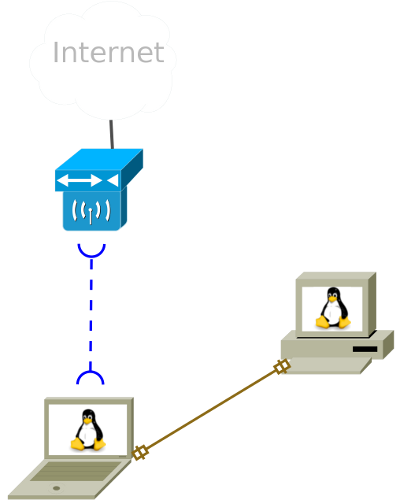 This entry was posted in System Administration and tagged iptables, linux, network, routing on 11/10/2013 by lipi.